Drs. 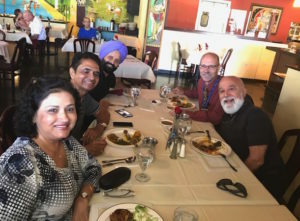 Dillenberg and Trombly have lunch with with friends of ASDOH. 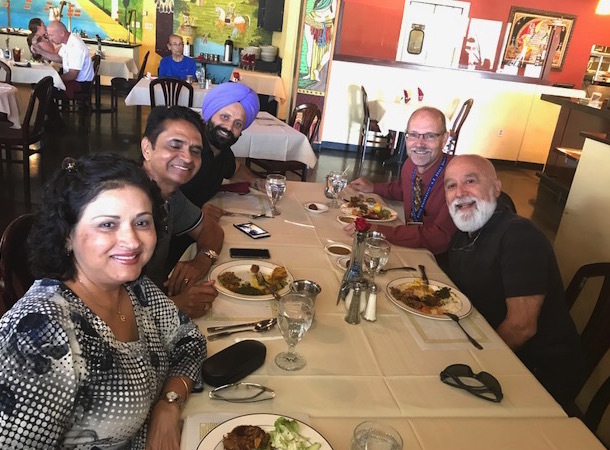 The week began with Dr. Jack Dillenberg introducing Dean elect, Dr. Robert Trombly to Dr. and Mrs. Prajapati for lunch at Rana Singh Sodhi’s restaurant. 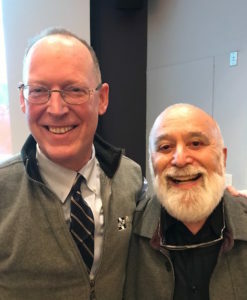 Dr. Jack reconnected with Dr. Paul Farmer, international humanitarian and Co-founder of Partners in Health. The majority of Dean Dillenberg’s week centered around his participation in the HSDM 150th year celebration and events. 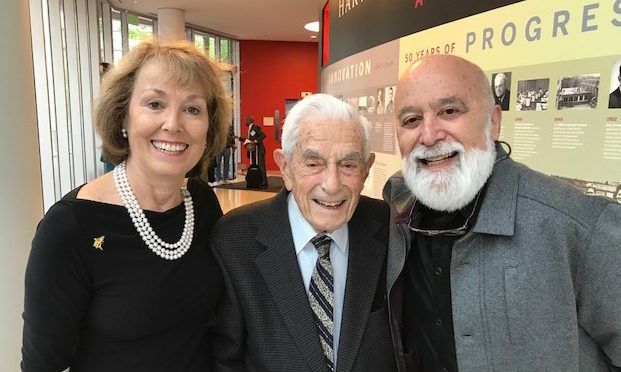 He moderated a panel discussion on “Dental Education for the next 150 Years.” While there, he had an opportunity to visit former students, friends and colleagues. 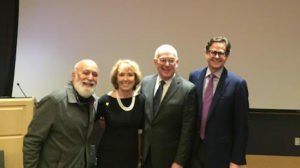 While in Boston, Dr. Jack Dillenberg also met with leaders of the Dentaquest Foundation and Institute to discuss ASDOH’s continuing efforts to be innovative in the emerging world of digital dentistry. Dr. Jack with the four panelists at the HSDM Educational Summit.